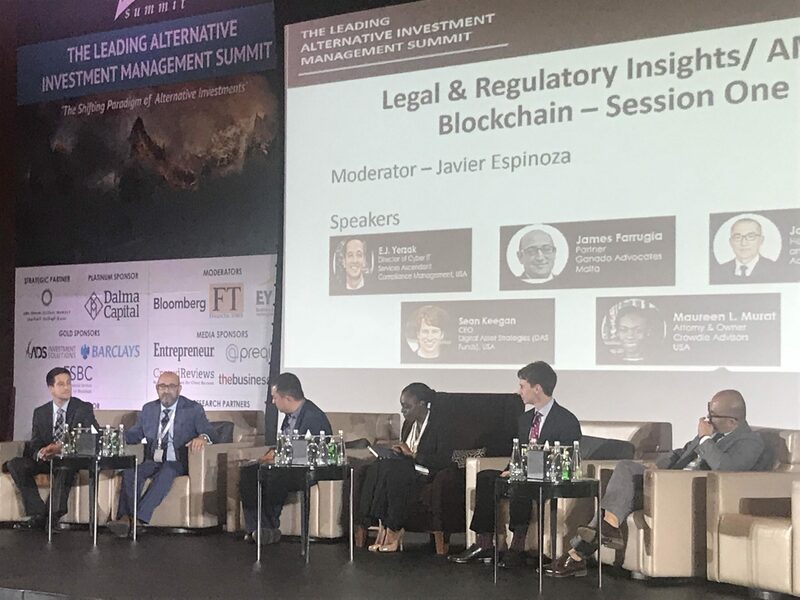 On 2nd-3rd May, James Farrugia and Simon Schembri attended the Alternative Investment Management Conference (AIM Summit) in Abu Dhabi. The exclusive event held at the Rosewood Hotel on Al Maryah Island connected regional investors and managers in alternatives (Hedge Funds, Private Equity, Venture Capital, Private Debt) with global industry leaders. James Farrugia was invited as a panellist to participate in a discussion on cryptocurrencies and digital assets as a new alternative asset class. James explained Malta’s proposed legislative regime in the blockchain space. He also expounded on the importance of introducing AML provisions in the cryptosphere for further growth of this space.